This summer, my son participated in a week-long baseball camp. We knew it would be physically demanding so we spoke with the coaches before we registered him to make sure that he could rest and leave early if he needed it. It’s a phone call we have made before and will likely make many times in the future that serves two purposes. First, it helps us make sure that our son will be safe. And second, it identifies any places not willing to make accommodations for people who need them, which is not a place we want to be. My son’s nanny took him on the first day and the coaches welcomed him to the camp. He managed to stay for half the day but then took a three-hour nap when he got home. But he had fun and he made friends. The second day was much the same with a long nap after a shortened day. By the third day, he didn’t want to go. He was noticeably tired but he managed to make it out the door. His nanny coaxed him on to the field and, after almost thirty minutes, one of the coaches managed to finally get my son to participate. He left early again that day. On the last day of camp, we planned to let him stay all day because they were going to play a game. His nanny made sure he took frequent breaks and he made it through the day and finished the camp with a smile. The end of the camp coincided with the Little League World Series. I watched the grueling tournament and wondered, given how the camp went, whether my son could do anything like that. By now, I don’t have any grand vision of him playing in the major leagues, but I do want him to continue to play something that gives him joy and that makes him feel like a part of a team. It made me think that someday we’re going to run into a wall of limitations. We’ve faced small ones before, but we’ve managed to pass them mostly by watching our son climb over them. We’ve managed to keep our distance from larger walls by adjusting our path. We swapped hockey for baseball. We learned to work around his physical and endurance issues. But we haven’t been faced with consciously confronting the difference between possibility and probability. Potential versus practical. Fantasy versus reality. We haven’t faced the wall that was once on the horizon but is now uncomfortably close. And every day we are moving closer. It’s starting to block our view to the world behind it. I’m beginning to wonder what we will do when we reach it. Will it be too big and stop us in our tracks? Will it be too overwhelming and send us back the way we came? Or will we do what we have always done and follow our son as he finds a way to climb it, even though we know there will be an even bigger wall behind this one? If you ask my son what he wants to be when he grows up, he always leads with “a hockey player”. 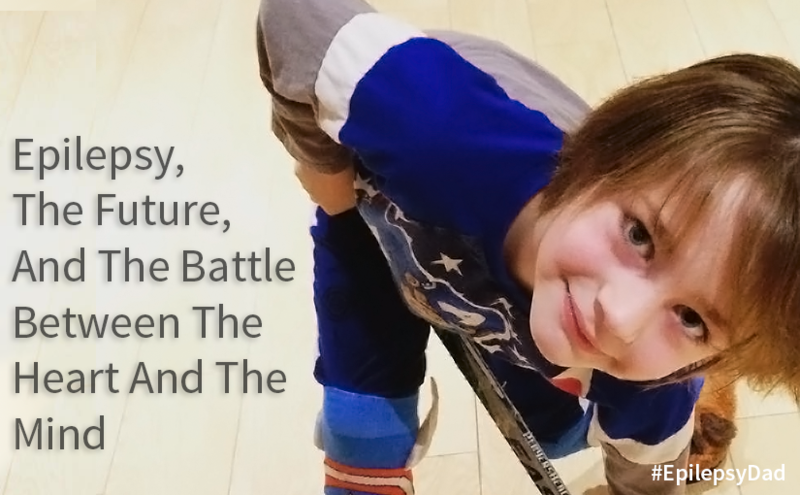 Sometimes he’ll add another sport, or perhaps a doctor, but everything starts with and revolves around first being a hockey player. 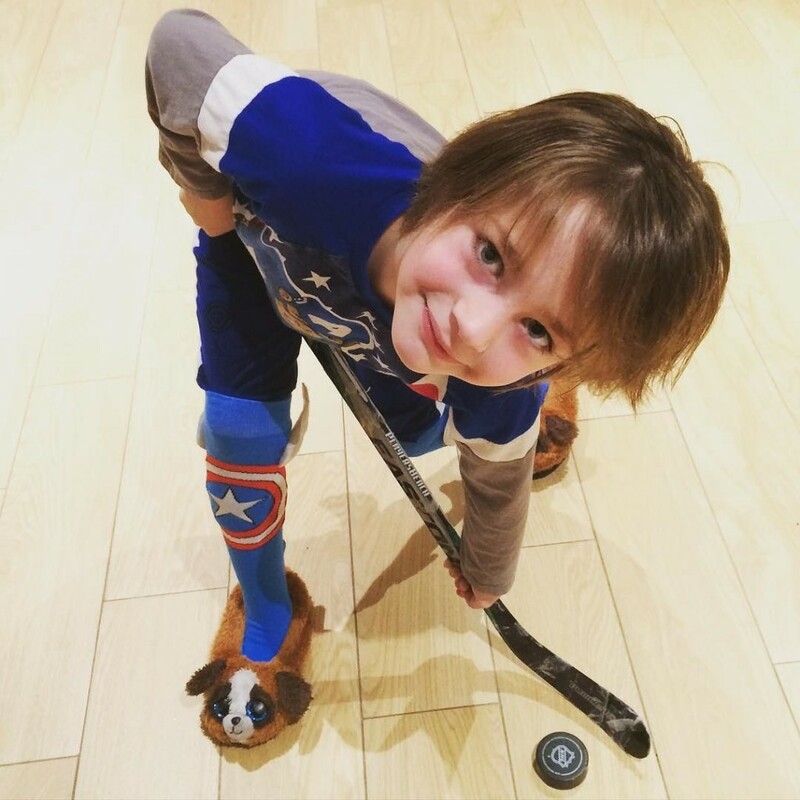 According to his plan, he is going to play in the NHL and whichever team he plays for, that’s where I will live, and I will follow him around as he jumps between all of his favorite teams. “That’s a great plan,” I tell him. Inside, my heart and my brain drop the gloves. My heart wants him to follow his dream. It wants him to watch a hockey game or to play hockey in the basement and know that hockey is what he will do with his life, and to live and reinforce that ambition every day. My heart wants him to hold on to that goal and have it drive him to be a better skater, a solid teammate, a focused student, and to know what it feels like to overcome an enormous challenge to achieve a dream. My brain remembers what he was like last year when his ataxia and lack of balance made most physical things, including hockey, impossible. It contemplates the odds of playing a physical sport with seizures and epilepsy that is still not fully under control. My brain wants to err on the side of caution and to focus his attention on something more realistic. Like many hockey fights, there is no winner…the two sides just tussle for a few minutes and then have a seat in the penalty box. Neither side wins in my fight, either. The skirmish only brings on more questions. 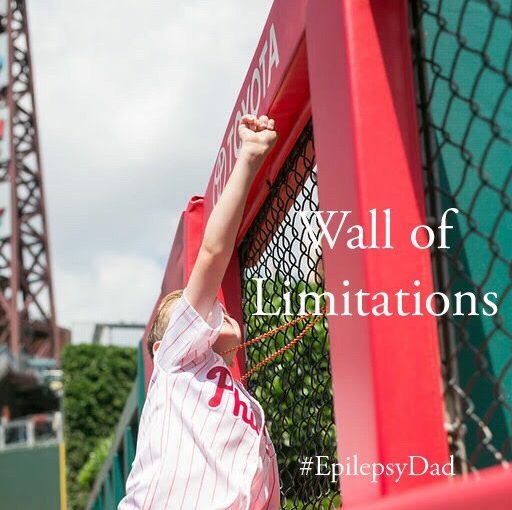 Should I encourage him to continue to pursue his dream and risk devastation when I have to tell him he can’t join a team because of his epilepsy? Should I have him set more realistic goals now to avoid that heartache? How do you tear away the dream of a six-year-old boy? I’ve decided that you don’t. The future is too uncertain to predict the course of his life or the part that epilepsy will play in it. Yes, he might be burdened with seizures for the rest of his life. Maybe they will get worse. But he might also outgrow them. Someone may develop a better medicine, or they may find a cure, or a new device to control or eliminate his seizures. The only thing that I can do is focus on today. Today, and every day until it is proven otherwise, I’m going to do everything I can to support his aspiration to play hockey. We have a skating coach, and work with pucks off the ice. We talk about teamwork, and strategy, and going on the road with him and the team. We watch hockey games and talk about what it will be like when he is playing as if it is an inevitability because the most assured way of him not reaching that goal is to discourage him from trying.